When God called us to Liverpool, he gave us a particular word of instruction on our part and a particular promise on his part. We have taken a photograph that represents the word, added the text of a verse from the Bible which represents the promise (using Photoshop), and had it turned into a canvas print, which hangs on the wall opposite our bed. I am not going to reproduce the digital image here: it is a word God spoke to us, personally, something to be treasured up and pondered on in our hearts (Luke 2:19). But the principle is worth sharing. 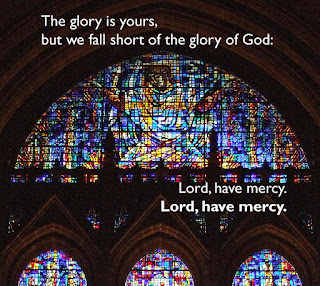 We have heard God say something to us - a word that gives birth to faith; a specific word that gives rise to a specific facet of faith (Romans 10:17) – and we have put that word in a visible form in a place where it is just about the first thing we see when we wake up and the last thing we see before we close our eyes to sleep. From the mezuzah on a Jewish door frame to the cross or crucifix worn on a chain around the neck, the Judeo-Christian tradition has long understood the value of such prompts, reinforcing memory against forgetting what God has done for us. 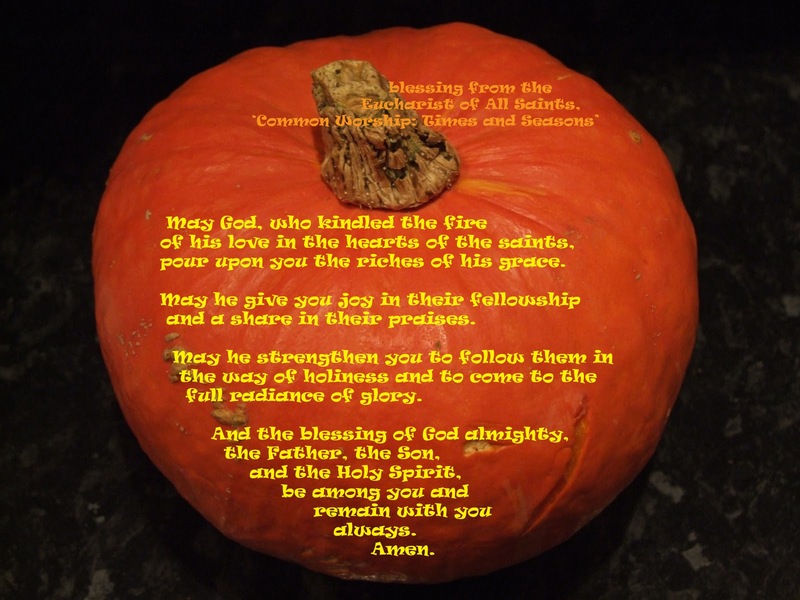 Advent: making room for Jesus – in the bedroom. Have you ever noticed how, whenever a crowd of people come together for a party, they all gravitate to the kitchen? They might come in search of more food, or to refill their glass...but they don’t take the plate back to whatever other room they came from. And when everyone else has left, the last guest standing will be propping up the kitchen counter, putting the world to rights. 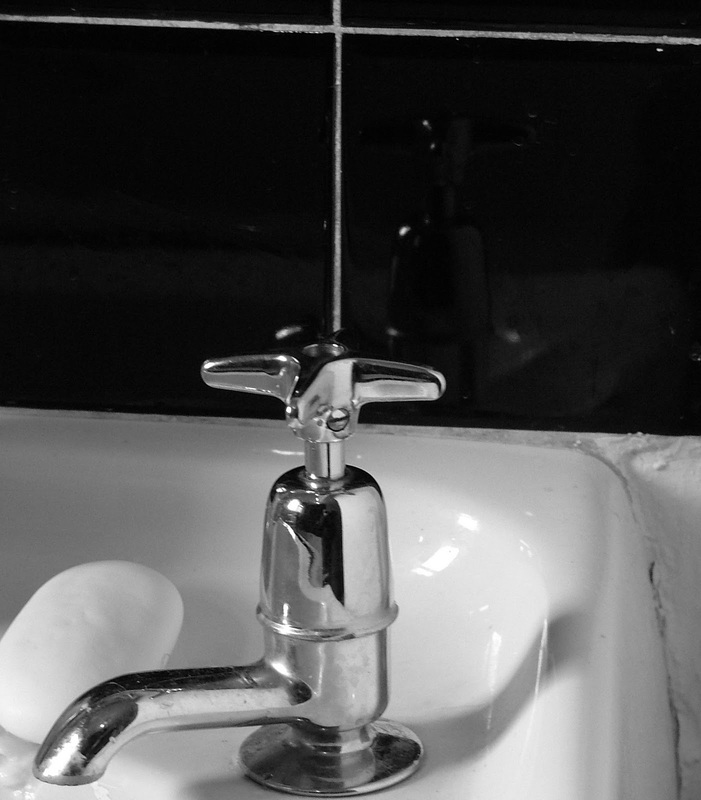 How might we make room for Jesus in the centre of our lives, in the kitchen? Jesus himself said that he will come to us in those who are in any kind of need: that we welcome him by welcoming him in others; that, despite our protestations, our neatly formulated words of orthodox belief, we reject Jesus when we reject another human being – one made in the likeness of God, made to bear God’s presence. 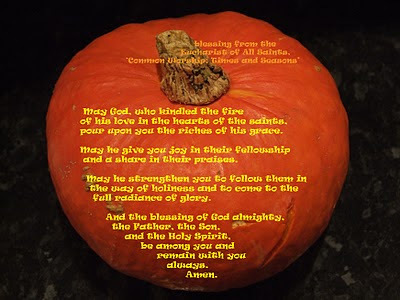 Advent: making room for Jesus – in the kitchen. I don’t have a bath very often, and for me a bath has nothing to do with getting clean: it is an opportunity to soak tired mind and muscles in hot water; a comforting, relaxing end to a day. If the shower enlivens and invigorates me, the bath give me occasion to slow down, to rest. Because I wash in the shower, the bath is functionally unnecessary – but if life is merely functional, then it is not being lived in the fullness it deserves. The bath is a great place in which to have a conversation with God, reviewing the day – what went well, what went badly – sharing triumph with God, and allowing him to meet us in disaster. Each year for the last several I have posted a daily Advent calendar throughout Advent. This has resulted in quite an archive of photographs, poems, reflections and liturgy – link listed under ‘Advent’ in my sidebar. This year I will be starting out reflecting on what it might look like to make room for Jesus at the centre of our lives, in very practical ways throughout our homes. It is impossible to live without ritual. The question is, do our rituals nurture or strangle our faith? 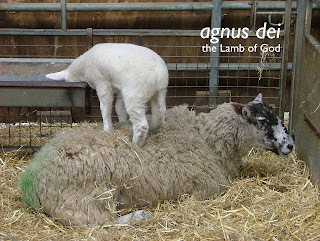 And, what sort of rituals might help nurture our faith, might help us to make room for Jesus at the centre of our lives? If it were true, then for God to become a human being, without forfeiting god-ness, and to enter into history just as each one of us has entered into history, would turn the world up-side-down. It would be unimaginable to domesticate such a wild and risky course of action. Advent begins on Sunday: an annual opportunity to set the story free to kick down the doors of the stable within which we have tried to domesticate it. I love that the TNIV updates the account (Luke 2:6, 7) “...because there was no guest room available for them.” This is a more accurate translation. The word traditionally translated ‘inn’ does not mean ‘commercial inn’ (such as the inn the good Samaritan left the man attacked by robbers at, to recuperate) but, precisely, ‘guest room’ (as in the room in which Jesus celebrated the Passover with his disciples on the evening of his arrest). The typical house in that culture at that time was composed of one room in which the family lived – cooked, ate, slept – and a separate guest room, either at one end or on the flat roof. The animals shared the family room – though they may have been contained at the end (the opposite end from the guest room) at night. The manger was in the family room – either scooped out of the floor, or raised above it. Kenneth E Bailey writes about this here. Contrary to everything we know about the Christmas story, Jesus was born in a house, with attending midwives, wrapped and laid in a well-insulated bed made of hypo-allergenic material. And Mary didn’t go into labour the moment they arrived in Bethlehem. Mary and Joseph had most probably been welcomed in to the home of one of Joseph’s relatives, living with them for some time during a time of social upheaval. Their guest room was already taken: rather than turning Jesus’ family away, they welcomed them in to the very heart of their home. What would it mean for us to welcome Jesus’ family into the very heart of our home this Advent? Not his mum and dad, but his brothers and sisters. What would it look like if his breaking-in to our world really were to turn it up-side-down? Tomorrow is the Feast of Christ the King, the last event of the Church calendar before the new year begins on the first Sunday of Advent. Christine Sine writes about this particular feast well, here. and the touch sensation, of knives, forks, spoons in our hands, glasses to our lips, food in our mouths. Not only do feasts engage the senses, they also engage our feelings – the contented feeling of our body beginning to digest the food; the emotions of company – and also our memories – of previous feasts shared, including shared with those who are no longer with us, whether parted by geography or by death. Feasts are an acting-out of God’s good gifts to us, in themselves. And, because they engage us at every possible level, they are matchless contexts in which to tell the epic love story of God and his people. Generally speaking, evangelicals do not embrace the gift and opportunity of feasts. Feasts are aesthetic and physical; evangelicals tend towards abstract engagement, whether abstract ideas for the mind to grapple with or abstract personal charismatic experiences. With the exception of Christmas, to feast – to eat a meal in celebration of a particular episode in our story - therefore requires deliberate intention. Jesus was notorious for eating with people. Feasts are a matchless context in which to proclaim the gospel. 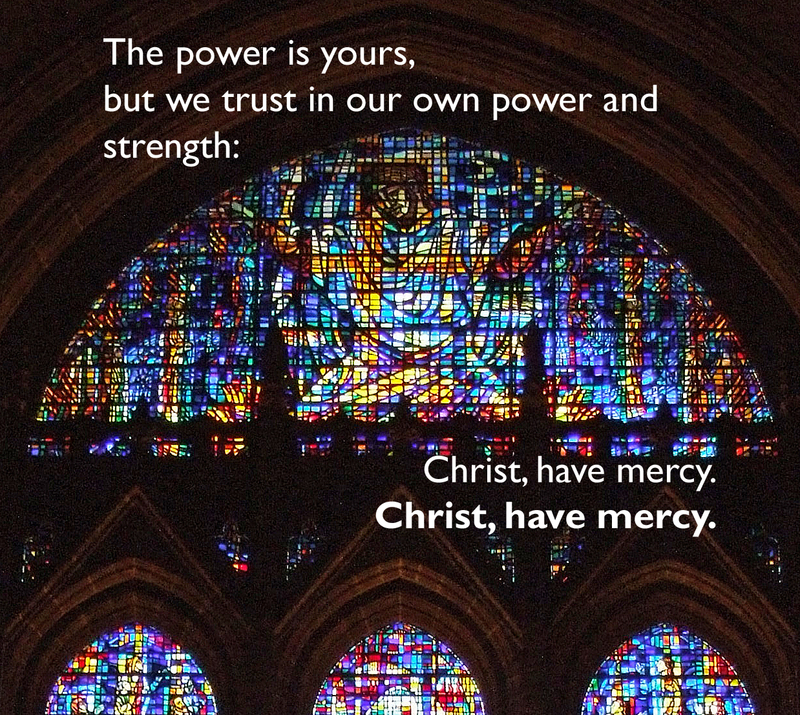 And because the gospel is not abstract, because it comes contained in the one who carries it – the medium is the message, as Marshall McLuhan observed; we carry the good news we have received - the invitation to share a feast is a good indicator of a person of peace: if someone is not open to eating with us, at their table or at ours or in a neutral venue, then they are unlikely to be open to the story we carry. 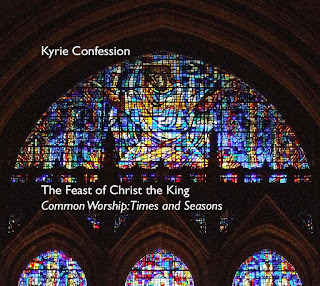 Here are a confession and a blessing for use at the Feast of Christ the King. 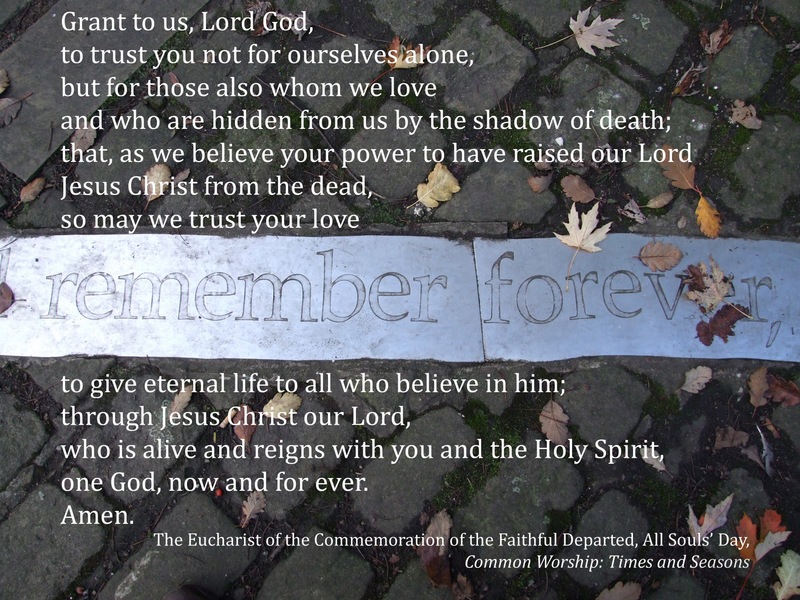 The words are taken from Common Worship, a resource of prayers and services for the Church of England. The background is a window depicting Christ the King in Liverpool’s Anglican cathedral. The Bible tells us that being married is better than being single. And the Bible tells us that being single is better than being married. It is not that being single is worse than being married. It is not that being married is worse than being single. It is not even that each status is equally good. Each is better than the other. And it is not simply that being married is better than being single in certain circumstances or for certain people, and vice versa. That is an attempt, from an earthly perspective, to justify an apparent paradox. But the Bible is full of paradox – true paradoxes, not apparent paradoxes - because a heavenly perspective is a paradoxical one: and paradoxes must be allowed to stand, not be resolved. This means that whatever your status, it is better than the alternative. This truth comes under ferocious attack. Sometimes all-out frontal attack; sometimes subversive undermining: the accuser will try whatever it takes to trick us into agreeing that we would be in a better position to be ourselves and to do the thing that God has charged us with if we were no longer married, or no longer single. And ultimately to agree that if God really cared, if he could really be trusted, then he would make it possible: that he would provide a way out of our marriage or our singleness. Because if we will agree, we are taken out of the game: gotcha! A trick as old as Eden (the serpent really is a one-trick pony). The starting-point advantage that the accuser has is that being married and being single are both incredibly hard things to be. They just are – and if you think otherwise, you probably haven’t been married or single, whichever you are, for very long. Incredibly hard, yes. But the starting-point advantage we have is that from a heavenly perspective our status is the best status we could have. Yes, there are certain pressures and challenges that are particular to our status, whatever that may be. For a single person, coming home to an empty house; for a married person, coming home to a house that isn’t empty! But there are also certain joys and opportunities that are particular to our status, whatever that may be. The heavenly perspective actively looks to break-in to our lives (it does so at ‘kairos’ moments). If we will embrace our status, receive it as best not second best – and if we will affirm the status of others as best, not second best – then we, and they, will experience greater freedom to be more fully all we were made to be. Biblically, we might want to question the assumption that marriage is normative. Undoubtedly God is proved right in observing that it is not good for the human being to exist in ongoing isolation: but, it is possible to be single and experience life-affirming connection to others, and just as possible to be married and experience life-destroying isolation. Biblically, we might want to say that marriage is illustrative, rather than normative: that marriage is a picture of the relationship between Jesus and the Church. And in seeing marriage as illustrative, we must also recognise singleness as illustrative of the relationship between God and humanity, at least because God (the Father) describes himself as having gone through divorce, and perhaps because God (the Son) was and is, for now at least, single. The Church must find a way to affirm that being married is better than being single while insisting upon the paradoxical affirmation that being single is better than being married. 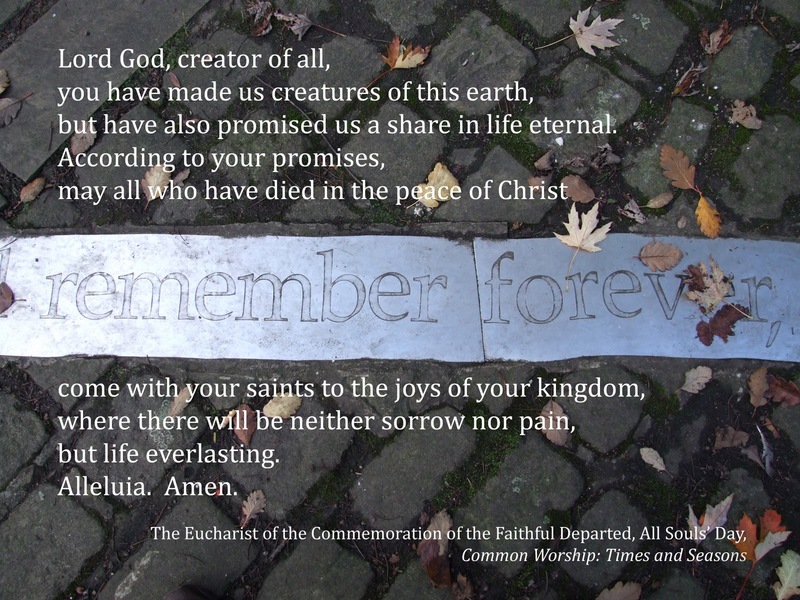 Why observe Remembrance Sunday in addition to Remembrance – or, Armistice – Day? Why hold two minutes of silence, and then do it again on another occasion, shortly afterward? It is a case of doing something without knowing why – and with the incredible irony that the multiplication of days of remembrance arises directly from the accommodation of the multiplication of arms. However, our largely unquestioned current practice is not untouchable: as it has been changed in the past, there is no case for not changing it again. If, as a society, we really want to honour those who fell in conflict, and take time to appreciate the freedom they have won for us, I would propose that we campaign to make Armistice Day an official public holiday. A public holiday on which there were acts of remembrance hosted in both civic spaces and places of worship, at which people could gather. 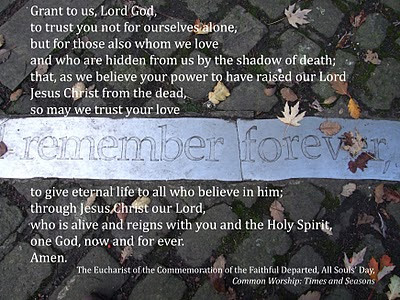 This in turn would liberate Remembrance Sunday to become Reconciliation Sunday, an occasion to give thanks for those many instances where we can acknowledge that former enemies have become friends, have found ways to live and work together; and to pray that we might see reconciliation in those places around the world where enemies are at war today. The views I express on my blog are my own and do not necessarily represent the position of the local church where I serve at present, or the wider Church of England. The Flanders poppy is an enduring symbol of the futility of war, confronting us with the memory that in the Great War – the War To End All Wars – over 9 million human lives were sacrificed for...what? No one won. Everyone lost. Eventually, all sides utterly exhausted, war collapsed into a fragile and increasingly wary truce while everyone regrouped, re-armed themselves, realigned their allegiances, and only 18 years later re-engaged battle. It need not have been that way. They went off to war in the summer of 1914 expecting to be home by Christmas. Finding themselves not home, men on both sides bravely went over the tops of their trenches on that first Christmas morning, not to be cut down by machine-gun fire but to walk out to each other in No Man’s Land; to tentatively exchange gifts – given out of their lack – in honour of the Prince of Peace; to embrace, and to see, through their tears, a brother in the eyes of those they had been told were enemies; to play football. The next morning men on both sides were ordered by their officers to resume killing and dying, or be shot for desertion. sorrow that the symbol of the futility of war has been conscripted by those who glory in war (many of whom have, like me, never experienced war firsthand). 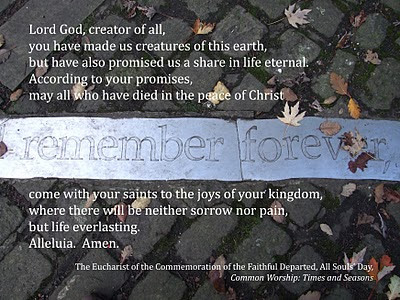 And as I hold before God every British, Commonwealth or other Allied combatant who lost their life in conflict, so I also hold before God every life ended by a British, Commonwealth or other Allied combatant in conflict. For the blood on our hands, innocent or not, Lord have mercy. Being conscripted into the forces does not automatically make someone a hero. Neither does joining the forces as a career choice. Men and women of great integrity and none, of noble and ignoble character and motive, have signed up. Dying for your country does not automatically make you a hero. A tragic loss, yes. A victim of the insanity of others, perhaps; perhaps often over the history of human conflict. A hero, possibly – but not necessarily, not automatically. Nor automatically a villain, where they are on the other side from us. That men and women have fought and died is not something that we should be fully and unquestioningly grateful for – and if gratitude is not our deepest response, then that does not automatically make us unpatriotic. We are right to remember, wrong to forget. But we may choose to remember with anger that they died, or with sadness at how little their dying achieved, or with a flammable cocktail of emotions. Christians take a variety of positions in relation to war. Some choose to be pacifists – which is not an easy option. Others view pacifism as naive. Some take a view of Just War – which is not an easy option. Others view Just War as too impossibly hard to discern from unjust war. Some accept war as a reality of this life – which is not an easy option. Others view such a reality as something that needs to be confronted and transformed by the kingdom of heaven, not settled for. and reconciliation wherever there is hostility. 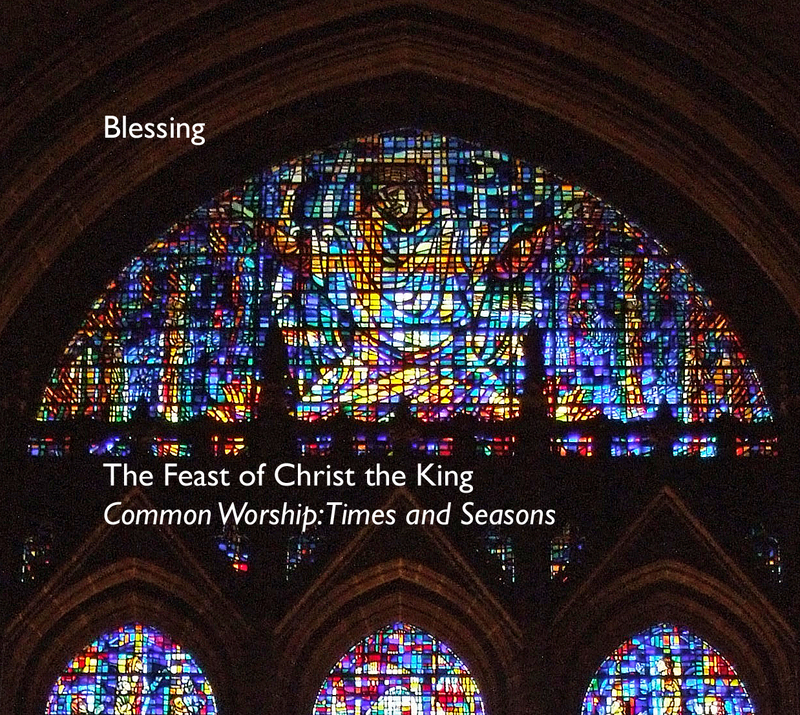 I love the Church Calendar, the liturgical seasons and feasts and festivals that give the year texture. Moreover, I am convinced that the rhythm of life established by the Calendar provides an incredibly helpful framework for corporate discipleship, as a local community of believers walk out their faith together. 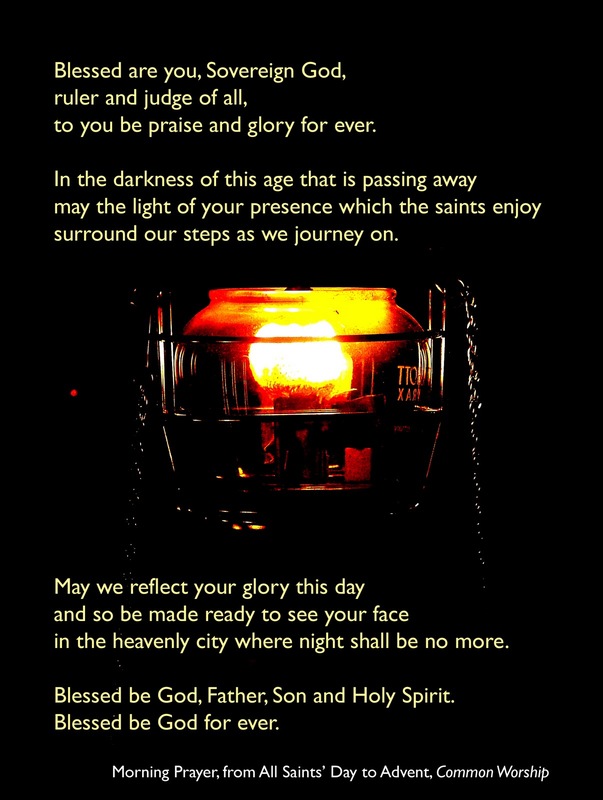 Right now we are at the very end of the liturgical year – the new cycle beginning with Advent, which this year starts on 28 November. 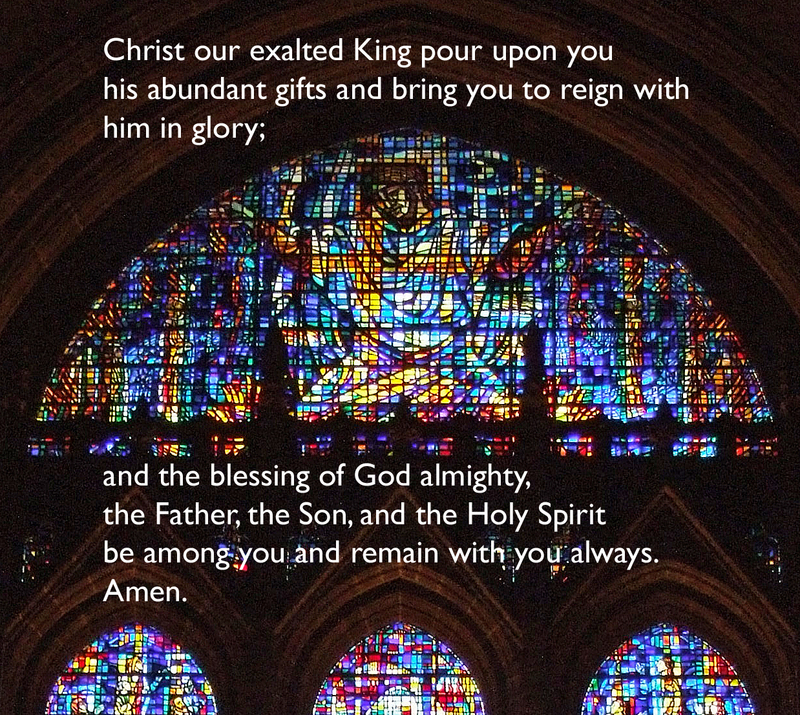 and concludes with the feast of Christ the King – an anticipation of the day when the One whose coming in history and future return we prepare our lives to receive in Advent, will take his place over all creation. While ‘this age’ refers, broadly, to the time between Christ’s first and second coming, they describe everything within that realm as passing (it is the age, not simply the darkness, which is passing away). And these words will affect us in different ways depending on our present experience. If our present experience is a heavy burden to us, then the reminder that this too will pass gives rise to hope. If, on the other hand, our present experience is a spacious place to us, then the reminder that it is passing away can be threatening; the challenge to journey on, unwelcome. Local communities of believers journey together – an image of pilgrimage towards the heavenly city, of the provisional rather than the permanent. In moving on together, the greatest resistance comes not from those who have been part of the community the longest, but from those who came on board as a result of the last change, the most recent past stage in the journey. In moving on together – in experiencing change – the greatest resistance comes not from those who have been part of the community the longest (who have seen change many times over the years), but from those who came on board (either joined the community; or experienced a spiritual awakening or particular growth; or stepped-up into a particular recognised serving responsibility) as a result of the last change, the most recent past stage in the journey. They have not experienced change – which is, by nature, unsettling – before; or they experienced a change that brought them into a spacious place they fear losing again; or they simply have a massive vested interest in keeping going what needs to be allowed to pass away. They are the ones who most need to be drawn into the light, and to experience a share in the enjoyment of God’s presence. Not the press of duty, nor the persuasion of conviction, but the joy of enjoyment.